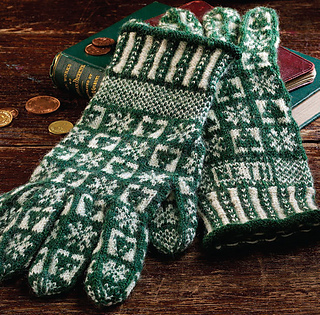 I have been fascinated by the lovely Scottish tradition of Sanquhar gloves since I first saw a photograph of them. Drawn to their apparent complexity, I was happily surprised at the simple logic of their construction. 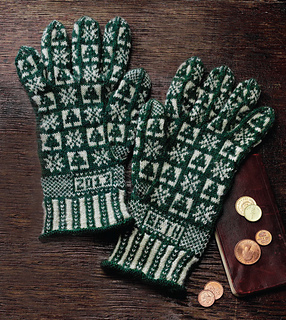 Due to their fixed layout, these gloves are best knitted in different sizes by changing the needle and yarn size. I could not resist playing with the squares, while leaving the basic architecture alone. 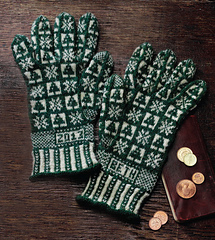 Now that I live in Vermont and winter is always around the corner, I chose little pine trees and snowflakes to grace my gloves that will keep me warm in beautiful, but frigid, New England. You can purchase this pattern through Ravelry or through my website (URL above) as well as purchasing a kit from my Easy Shop! You can also purchase my DVD Sanquhar Gloves from my Easy shop.